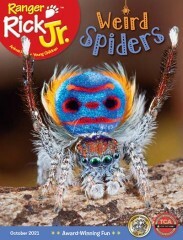 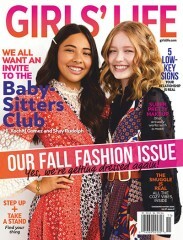 A magazine created for and by girls ages 7-12! 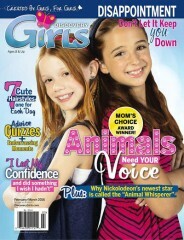 Discovery Girls is a forum for girls to both express their ideas/dreams and address their fears. 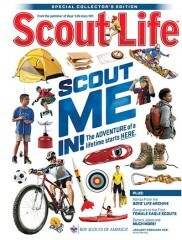 With articles on middle school challenges, inspiring stories about exceptional teens, sports, contests, quizzes, "embarrassing moments", fashion and more! 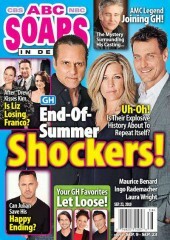 Who publishes Discovery Girls Magazine? 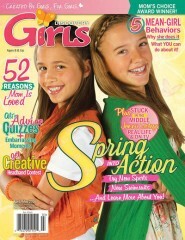 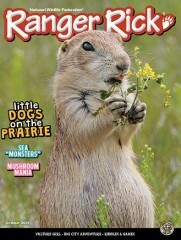 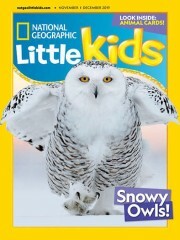 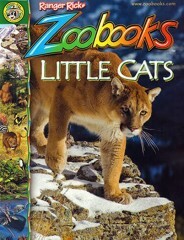 Discovery Girls Magazine is published by Discovery Girls, Inc.
How often is Discovery Girls Magazine mailed? Discovery Girls Magazine is printed and mailed Bi-Monthly. 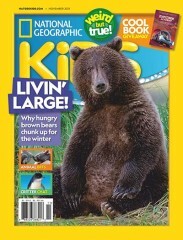 If I order Discovery Girls Magazine today, when will my first issue arrive? 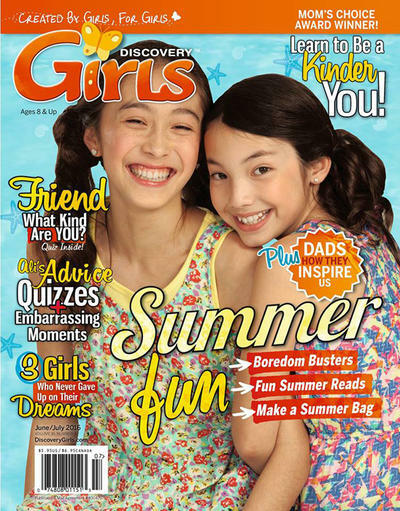 What is the Universal Magazine Code for Discovery Girls Magazine? 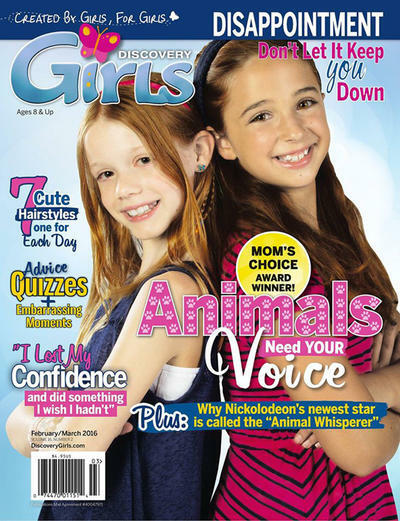 There are currently no customer reviews for Discovery Girls Magazine.